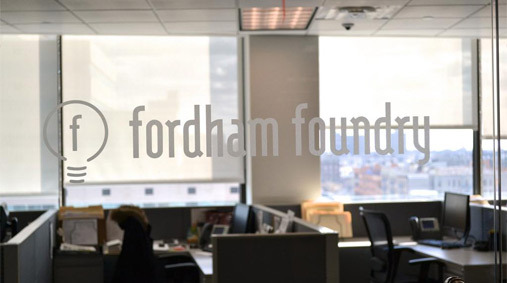 Located in a shared office space with NYC Business Solutions, Fordham Foundry is focused on creating economic growth and job creation among Fordham University students, alumni, staff, and entrepreneurs. New York City Mayor Bloomberg was joined with other elected officials to launch Fordham Foundry (www.fordham Foundry.com) on October 15th 2012. 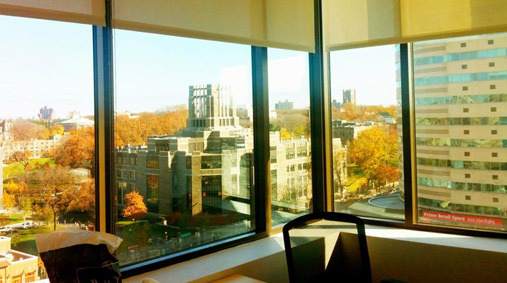 Contacted by Fordham University, this was a project we were more than happy to work on. 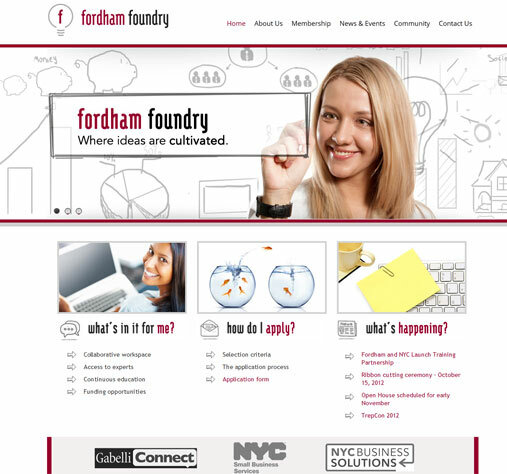 We devised creative plan for Fordham which included engaging web design and branding, clearly communicating the mission of this new business incubator. The site has ready had some very positive reviews. time4design are very proud to be part of this venture and look forward to Fordham Foundry’s growth over the years to come! For more information visit our case study.